An amazing product idea is not enough to start and run a successful ecommerce store. I’ve seen many people who have the enthusiasm to start an online business, yet they ended up with nothing. For many of them, worrying about failing prevented them from starting. For others, they have a product idea but not sure what to do next. If that sounds like you, you should not worry anymore. Because, in this article, you’ll learn easy steps to building an ecommerce store from zero to $1 million. Many online businesses have gone from nothing to doing millions of dollars. Yours can be the next. But there are some things you must know before you can be able to achieve that. 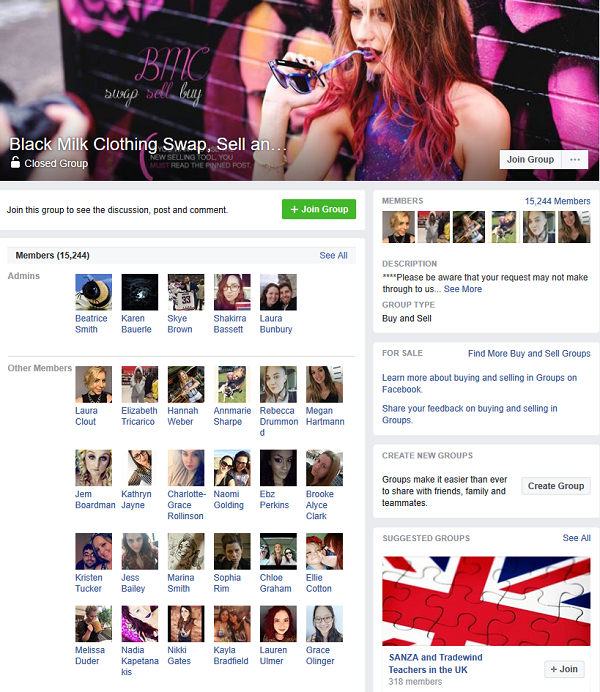 In 2009, James Lillis launched Black Milk Clothing with absolutely no money for marketing the company. It was an unassuming launch, with Lillis selling his first set of leggings online for $10. Since the company’s launch, Lillis has teamed up with Cameron Parker to handle the marketing, and has grown his company to more than 150 employees. Today, Black Milk Clothing has grown into a multi-million dollar company that distributes its product on a global level. It has become a respected and well-known brand in Australia and has built a cult-like following among its fan base. The company has achieved this success without spending a dime on marketing and advertising. They built an amazing community that is passionate about their product. The company has over 80 private regional-specific Facebook groups. These groups are filled with people who so much like the brand that they would vouch for it anywhere. The groups are very selective of who they accept as members. A member must be within the demographic of Black Milk Clothing customers to be accepted. That tells you a lot about the brand. With a buzzing tribe-like community that is full of brand ambassadors, the company will continue to receive free word of mouth marketing on Facebook. Your ecommerce company should use the same approach. It’s a powerful strategy that costs nothing, yet 100% more effective than many paid marketing tactics. Your brand is going nowhere without passionate fans that are willing to persuade their family and friends to buy your product. Apple won’t be where it is today without its passionate fans who are always ready to buy its latest products. Social media is a great place to build a community. More than 1 billion people are participating in Facebook groups every month. In the 5 seconds it takes you to read this sentence, it’s safe to assume at least one new community formed somewhere in the world. In fact, communities have been forming, evolving and dying consistently since the beginning of humanity. Building community is part of being human. 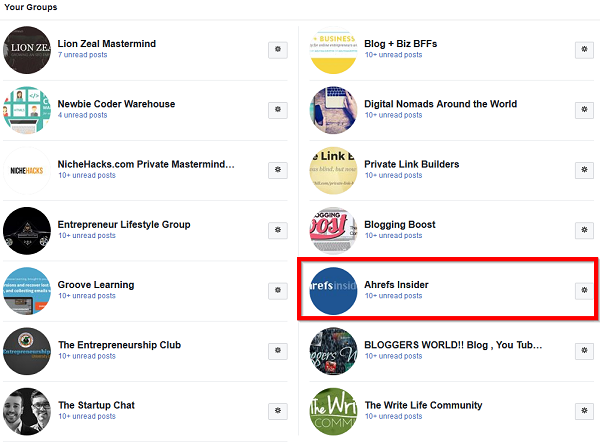 I am part of a few Facebook groups, and the Ahrefs Insider is one of them. I am a big fan of their product, and I use it every day. Discussions like this keep you interested in their product. Is your product worth building a community around? The key to evangelism, sales, demoing, and building a community is a great product. If your product is not great, you do not need a community for it. And frankly, if you create a great product, you may not be able to stop a community from forming even if you tried. It’s hard to build a community around mundane and mediocre crap no matter how hard you try. Assign one person the task of building a community for your product. If you’re running on a low budget, that can be you. A community needs a champion. An identifiable hero. And an inspiration from within the company to carry the flag for the community. Are you really ready to take that kind of position? 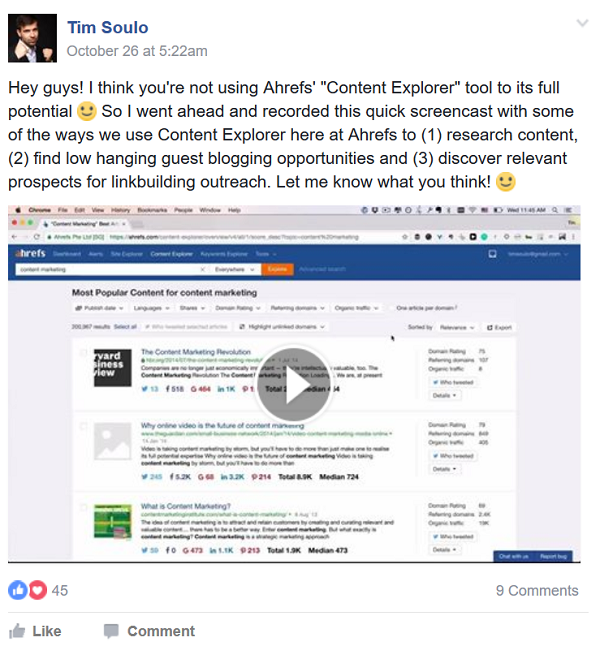 For Ahrefs, for example, that is Tim Soulo. 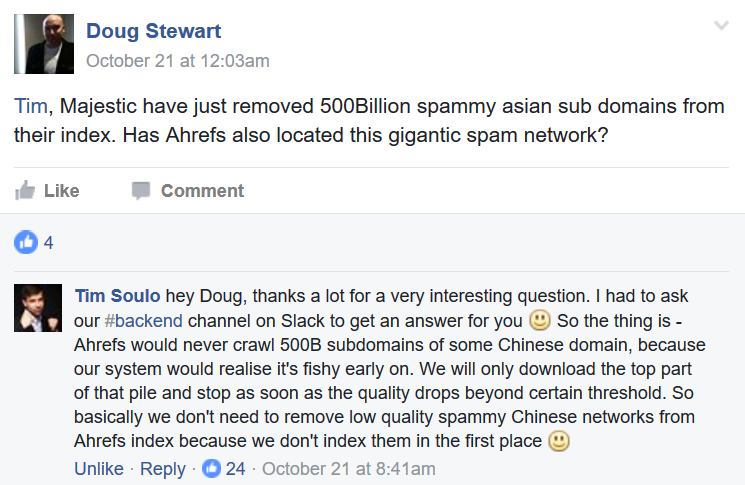 You will most likely see him jump into every discussion in the Ahrefs’ community. Create a community around your product and start telling people about it. When 50 fashion influencers on Instagram posted a picture of themselves in the same Lord & Taylor dress, it sent out signals that this dress was a must have fashion piece. The following weekend the dress was completely sold out. This Lord & Taylor campaign is a perfect example of the power of influencer marketing. 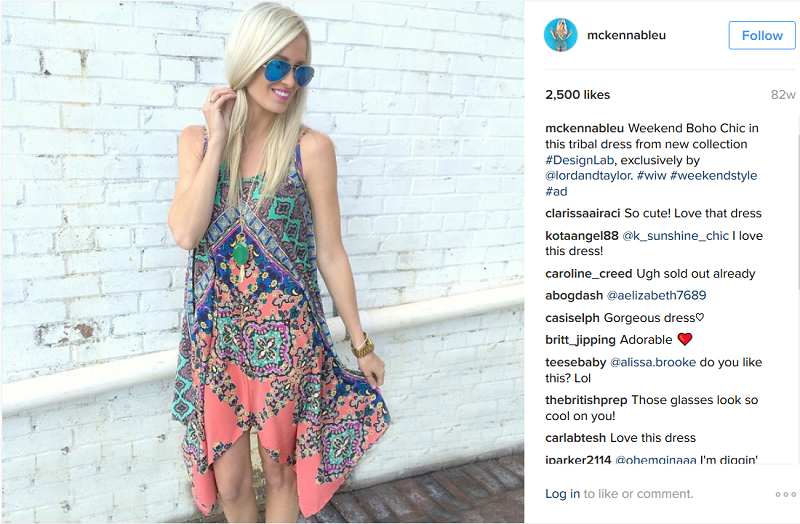 65% of brands now run influencer campaigns. And 92% of consumers trust recommendations from other people—even if they don’t know them personally—over promotional content that comes directly from brands. Getting the product to spread. If you can get the product to spread online, there’s a great chance demand will continue to rise for it. As more and more people see it, they will want to buy it too. Influencer marketing can be very effective for getting a product to spread. 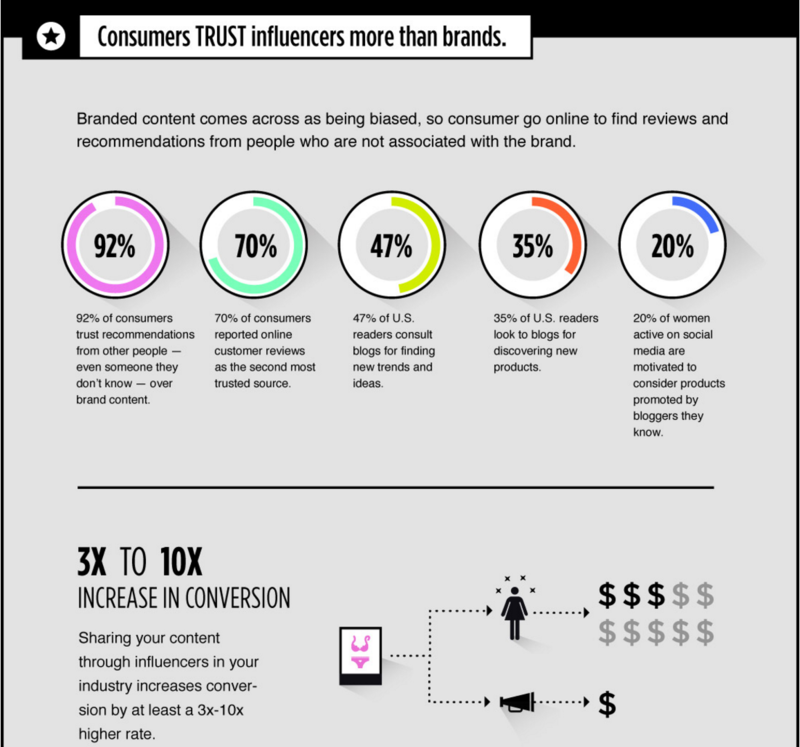 Primarily, influencers act as a mutual friend connecting your brand with your target consumers. An endorsement from an influencer has the power to drive traffic to your site, amplify your message across social media platforms, and even directly sell your product through their recommendation. When Apple have new products to launch, the first people they talk to are those who want to listen. The people who actively opt-in to hear Apple’s message. When Tim Cook gets up on stage at the WWDC conference, he’s not talking to the mass market. He’s talking to influencers in the hope that what he says will inspire them enough to pass the information on to their audience. These influencers have the audience that Apple needs. Once influencers pass this message across, it reaches the mass market. And everybody starts talking about the Apple product. For Apple, these influencers are the journalists, industry experts, celebrities and academics. 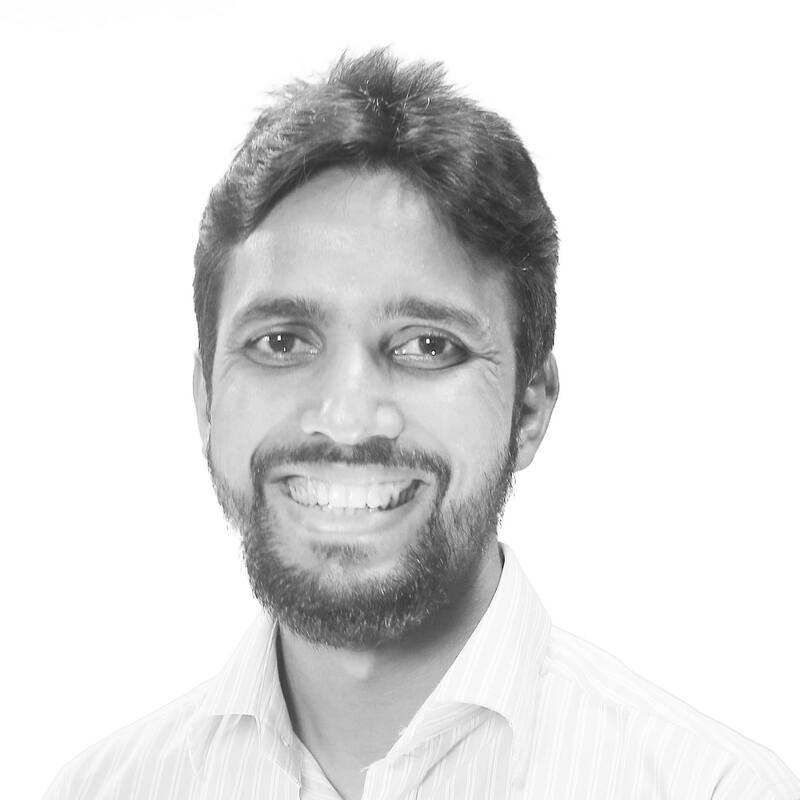 When your product is getting some sales, it’s tempting to expand your product lines. Don’t! Immediately you introduce a new product, growth will stall for the other product. The marketing it currently receives will drastically reduce. Attention will move to the new product. Apple didn’t build a multi-billion dollar empire by having many products. They have very little products. Their products get enough attention to become successful. It’s hard to succeed when your ecommerce store sells 10 products. You can’t try to market all those 10 at the same time. It’s difficult. Focus on a product at the beginning. Niche down. Niche products often spell success for ecommerce. 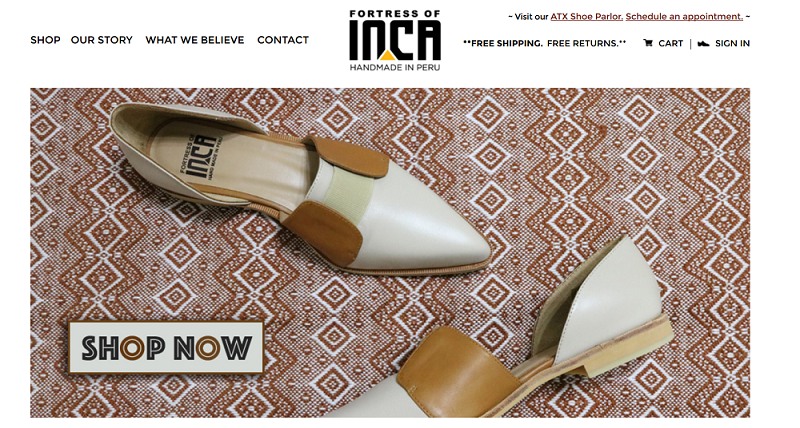 Take, for example, Evan Streusand of Fortress of Inca, who sells hand-crafted boots made in Peru that combine quality with tradition. Streusand tapped into a deep passion of many online shoppers: handmade, extremely unique apparel. That’s the niche! Going niche is an effective way to stand out. But before you go niche, you should gauge customers interest first. If there’s no customer demand for a product in a niche, it just doesn’t make sense. You will never build a profitable business without getting into a product niche that takes into account buyer intent. 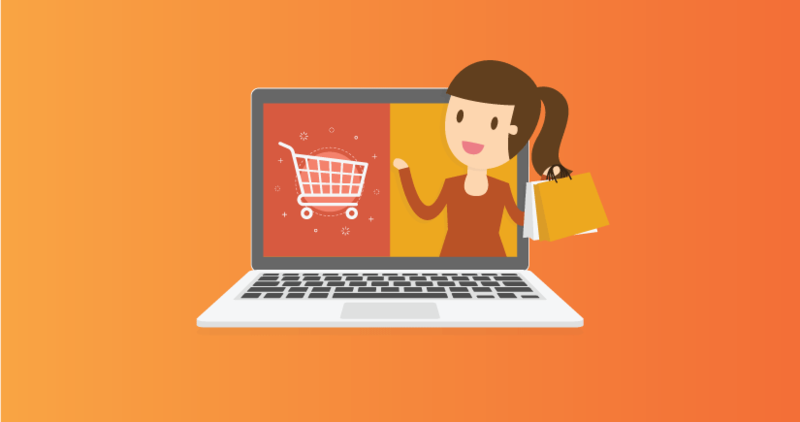 You could set up shop and wait for the customers to come pouring in, but that may never happen if your online store is lined with products nobody wants or will buy. You can use a tool like Google Keyword Planner to confirm if there’s interest for a product in the niche. Find keywords with good volume and concentrate on that to make your niche. Another important step is to figure out whether you’re entering a niche that people are passionate about. Golfing and fishing are great examples — people spend hundreds and even thousands of dollars on equipment like clubs, rods, reels, lures. Also, look for niches with problems. If you can solve customer problems with your products, you can attract an audience that’s eager to buy. Online retailers Hayneedle, Wayfair, HelloFresh, and many others are using direct mail marketing to acquire new customers for their ecommerce operations. Direct mail may be a traditional, old-school way to market, but it can also be extremely effective. An omnichannel retailer located in the northwestern United States has been using shared direct mail for a few years. Shared direct mail is a subcategory of direct mail wherein advertisers gang coupons together in one envelope or circular to reduce postage costs. For a recent campaign, the company mailed 100,000 coupons to homeowners across two counties. The shared direct mail campaign resulted in 2,457 sales worth roughly $200,000 in revenue. All this for a $3,500 investment. With a return on investment of, perhaps, $57 for each dollar spent, shared direct mail is certainly something to consider in your ecommerce marketing mix. Email marketing is strongly influenced by direct mail strategies. Many of the same tactics digital marketers employ for email can be applied to direct mail and shared direct mail marketing. With this in mind, target direct mail campaigns at those consumers who would be the most likely to purchase from your online store, just like you might segment and target email marketing campaigns. For example, Wayfair sends shared direct mail offers to folks who have just moved. The offer says, “Welcome to the Neighborhood,” and provides a promotional code for an extra 10 percent off of a new Wayfair order. The products Wayfair sells, including furniture and home decor, are often helpful for someone who has just moved into a new home. There are many direct mail firms that target specific sorts of customers, like homeowners with a particular household income, and there are many direct mail list companies capable of targeting very specific profiles, such as folks with a particular hobby or who have just moved into a new home. When you’re planning your marketing strategy for your e-commerce business, direct mail might not be the first tactic that comes to mind. But just because your customers are shopping online, it doesn’t mean that all your marketing efforts should be there too. Recent research shows that direct mail is more effective for increasing online sales and response rates, especially if it’s part of an integrated campaign. When you use direct mail to acquire new ecommerce customers, be sure to target the list. A report by the Direct Marketing Association (DMA) found that direct mail generates among the best overall response rates with 4.4% compared to the email average of 0.12%. What’s more, another recent study found that advertising in the mail is also the most effective channel for increasing online sales. Also, 47% of Canadians had visited a company website as a result of a marketing piece that they received in the mail. So why is direct mail response rates 30x greater than email? It’s largely because of the proliferation of marketing emails and display ads competing for attention online. People are constantly bombarded with unwanted digital marketing messages, so they subconsciously filter online ads and delete unopened emails. Direct mail, on the other hand, offers a refreshingly tactile experience in a less cluttered environment – it’s something they can hold in their hands and in their own time. You can tailor it to offer a very creative and personalized experience that allows the reader to take time with the piece and process the message. Taking your ecommerce store from nothing to something big don’t have to be hard at all. By building a passionate community around your product, working with influencers to increase its reach, improving eCommerce SEO, focusing on a single niche in the growing period and taking advantage of direct mail, you’ll build a successful ecommerce business. You also don’t have to limit your tactics to these alone. Do something out-of-the-box. Be creative. And you’ll be highly rewarded. Just fantastic tips shared.Indeed grow e commerce store is very hard challenging. Although there are here you shared great tips. Indeed thank you or sharing.